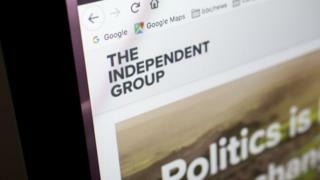 Who are the Independent Group and what do they stand for? Three MPs have left the Conservative party to join the newly-formed Independent Group. 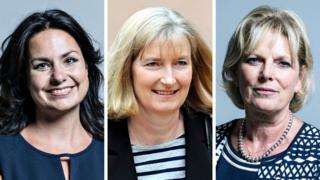 Heidi Allen, Anna Soubry and Sarah Woolaston will continue as MPs. In a letter to the Prime Minister, the three of them said Brexit had "redefined the Conservative Party - undoing all the efforts to modernise it". On Monday seven MPs quit the Labour Party in protest at the party's leadership. 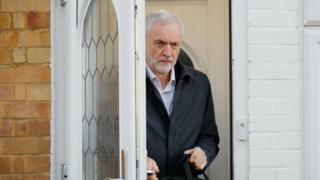 The Labour MPs said they had lost faith in their Party's leader Jeremy Corbyn, his handling of Brexit and the party's inability to deal with anti-Semitism. Anne Coffey, Angela Smith, Chris Leslie, Mike Gapes, Luciana Berger, Gavin Shuker and Chuka Umunna all resigned from Labour. Within 48 hours an eighth Labour MP, Joan Ryan also quit because of a "culture of anti-Jewish racism" and said she was "horrified, appalled and angered" by Labour's failure to deal with it. 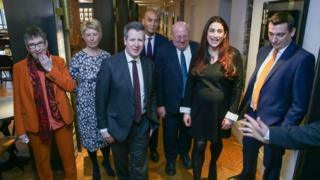 She has joined her ex-Labour colleagues in the Independent Group and the original seven MPs have now said their grouping could be the basis for a new political party. Gavin Shuker MP tweeted that the group was "building something powerful together". What is the Independent Group? The Independent Group is not a political party, like Labour, the Conservatives or the Liberal Democrats. At least, not yet. It has no leader. It is currently a group of very unhappy MPs that have resigned from their parties because they don't believe in the decisions their parties are making. Brexit is one of the biggest issues, but some former Labour MPs commented on anti-Semitism in the party. The new group say they want other unhappy MPs of all parties to consider joining them. Anti-Semitism is language or behaviour that displays or suggests a dislike towards Jewish people. It can result in an individual or group being treated unequally, unfairly or unkindly because of their Jewish faith. Why is everyone talking about anti-Semitism? "We represent different parts of the country, we are of different backgrounds, we were born of different generations, but we all share the same values," said Ms Berger at the Monday press conference. The group's key message is 'Politics is broken. Let's change it'. They say their aims are to pursue evidence-led policies and be tolerant of differing opinions. The founding seven members all oppose the Labour party's stance on Brexit and support a second referendum on the issue. These MPs will sit in Parliament as independent MPs, they will still represent their constituents - the people that live in the area which they were elected - but will not represent a particular party. This is seen as controversial by some as the current group is not under the same rules as registered political parties are. Labour believe that MPs who switch parties between general elections should be forced to hold a by-election to give voters the chance to decide if they still support their MP in Parliament. Mr Umunna, who resigned from Labour on Monday, hopes a new party will be formed by the end of the year. Anti-Semitism: What is it and why are the Labour Party talking about it?